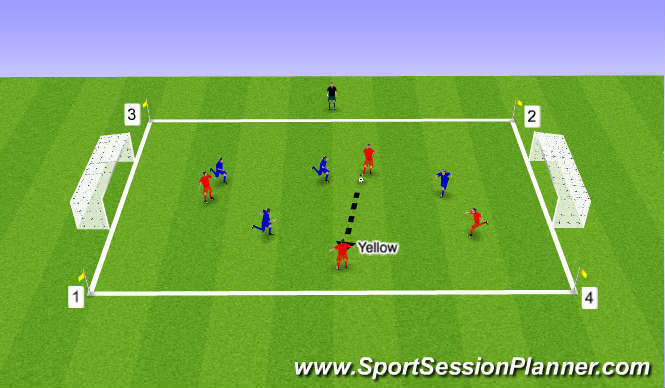 Both teams will be working to two diaganol poles each. 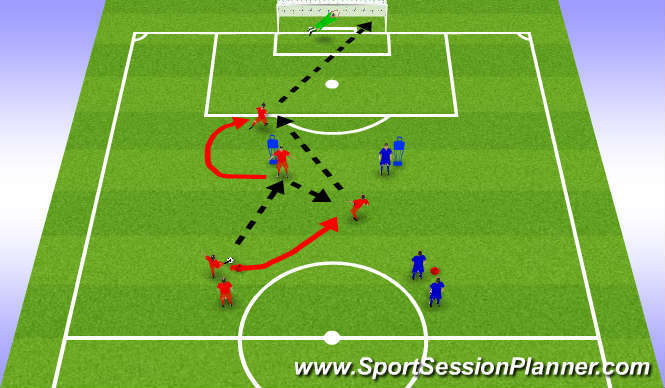 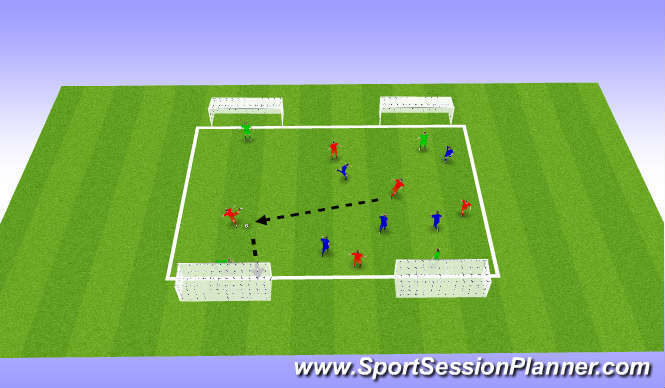 Midfielder plays pass in to forward, who sets in to curved run path of midfielder. 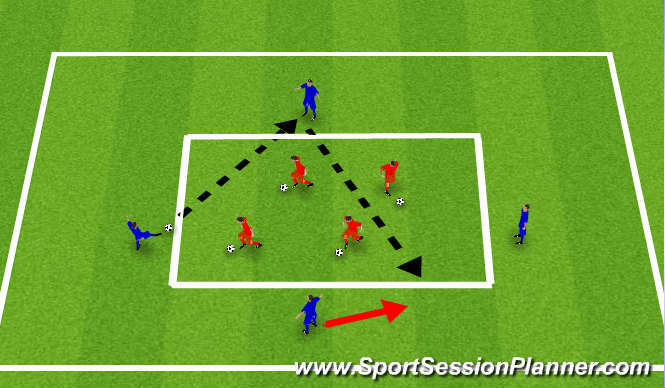 Forward player then spins around outside on manequin (defender) to receive forward through pass from midfield player.